Carolyn initially had a 10 year career as an academic librarian, where she particularly enjoyed writing and delivering seminars and lectures on information searching skills to the university students, within the subject areas of health, psychology and law. During this time she studied aromatherapy and bodywork with the prestigious Shirley Price School (qualifying in this and anatomy & physiology in 1999); and then reflexology with ITEC, becoming a member of the Association of Reflexologists in 2000. Also in 2000, she completed a 3 year MSc in Holistic Approaches to Healing which culminated in a research study into the use of aromatherapy for PMS. She wrote an article on this which appeared in ”In Essence“ the journal of the International Federation of Professional Aromatherapists. From 2003 she left the academic world to combine bringing up two children with her work as a holistic therapist. 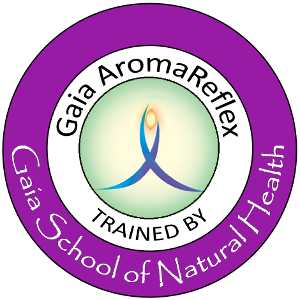 At the same time she taught introductory evening classes in alternative therapies until she undertook her adult teaching certificate in 2008 and opened her own teaching school, the Gaia School of Natural Health in the same year. Carolyn is a member of the Association of Reflexologists, Professional Reflexology Association, Reiki Federation and Association of Reproductive Reflexologists. 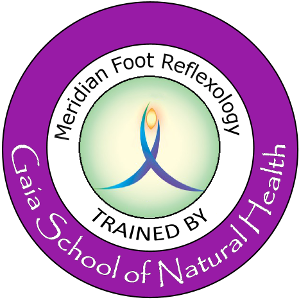 Carolyn has also acquired Continuing Education of 16 hours in The Science-Based Manzanares Method(TM) of Reflexology course, taught by Dr. Jesus Manzanares, MD. Course training includes instruction in the Manzanares Press and Slide Technique(TM), Manzanares research principles, reflexology protocols and foot reflexology mapping. Carolyn is also a Reiki Master and Teacher. Her main interests are using reflexology to support couples trying to conceive, and during pregnancy; and using reflexology as an energy therapy: combining it with meridians, light touch work, acupressure points, chakra work, "linking" and reiki. 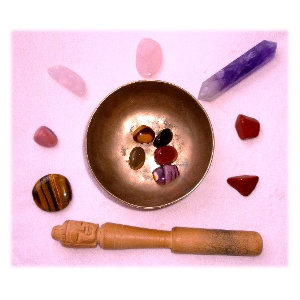 Carolyn possesses a Diploma in Crystal Healing (ACHO accredited) and incorporates crystals into her treatments and training courses. 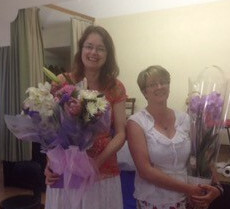 This knowledge, experience and passion, Carolyn brings to her training of future Reflexologists. The information and practical techniques Carolyn has acquired from her many years working with clients, and the many workshops she has attended, are incorporated into the teaching you will receive. 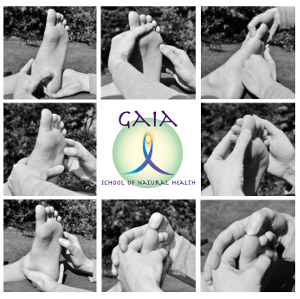 Many subjects taught by others as "postgraduate" courses are covered during your reflexology training at the Gaia School. You will therefore leave your practitioner course with many extra skills e.g. in advanced energy techniques, meridians, foot-reading etc.